Top notch customer relationship management is key to keeping your clients, building trust, and increasing sales. Take your customer relationships to the next level and stand out from the competition with these simple, but powerful, strategies. Everyone and their mother is reaching out to customers with value-added emails that include coupons and provide useful tips and helpful videos. They’re also relationship building through social media and working on similar techniques. If you’re already doing all that, keep it up. But don’t forget to take it to the next level. Blow your customers away by taking the next step, one that very few modern businesses are utilizing, and incorporate real-world interaction into your outreach plan. Personal touches are the key to an effective real-world customer outreach strategy. Think about things like sending a birthday card to your customers in the mail. If you’re a small business owner whose name will be recognized by your clients, take the time to actually sign it, too! If you sell higher priced products, set aside a small portion of the profits to send out thank-you gifts to purchasers. Delight your customers by sending them a dozen gourmet brownies, cookies or other treat through the mail. You could send flowers, or a gift card that will enable your customer to buy themselves a token gift without having to put out any of their own cash. Another touch that is often appreciated by customers is a follow-up phone call where you ask if they are satisfied with their purchase, provide them with warranty information, and find out if they need any help making the best use of whatever they bought from you. And if you’re worried that you don’t have time for this, there are often ways to automate this process via online services. 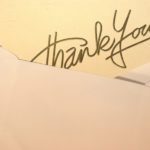 If automation won’t work out well in your industry, it usually doesn’t cost much to have an employee or assistant take care of sending out the thank-you gifts or making follow-up phone calls to buyers. One of the most well-known principles in social psychology is the reciprocity principle. This means that when someone does something nice for us, we tend to want to reciprocate. Based on the reciprocity principle, many people who receive your unexpected thank-you gift will be happy to reciprocate and show their appreciation by recommending your biz to their friends, family, or colleagues. It’s not easy to land a customer, and once you do, it’s crucial that you not only keep them happy, but build a strong relationship with them that lasts long after their purchase. This will help to increase the odds of your clients recommending you to others, saying good things about your company in social media, and buying again from you in the future.